Wow, how time can fly. It’s crazy to see my last post was January of 2017. I struggle to wrap my head around that. It seems like it was yesterday, and with the number of times I regularly think about throwing up another post, makes it feel like it could have been. Though my life has taken many turns for the better, including our addition of a beautiful baby girl, this blog has been relegated to the shadows - much like my free time. With more success in the office, comes more time needing to be spent with customers and new employees. As my daughter grows, so does the need to watch her, interact and engage, and spend quality time. These two account for a lot of time that used to be spent chasing trout, bass, steelhead and any other cold and warm water fish that may linger in the Midwest. 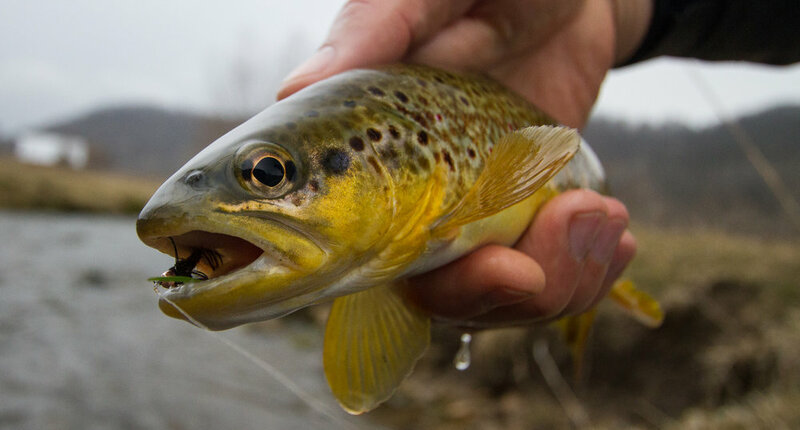 It’s crazy, lately I’d rather spend time changing diapers and picking up crushed Cheerios out of the rug than bushwhacking my way through the Driftless every weekend. Even with life getting in the way, I have made it out here and there. I’ve managed to get on the water with my pops, and some good friends. Made new friends and showed them my favorite places, and even snuck out with my new little fishing partner. By the way, she’s just like her dad, loves watching bluegill crush topwater flies. I’m hoping to get a few posts up here soon, to show you where my little free time has taken me.